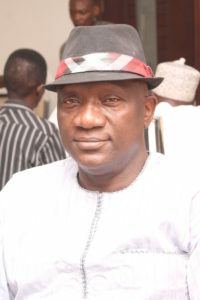 Mr. Hakeem Olaogun Dickson, Director-General, Lagos State Safety Commission was born on May 5th 1957. He had his Primary Education at Surulere Baptist School and obtained his first school leaving certificate in 1972. Mr. Hakeem Olaogun Dickson, holds a Bachelor of Science in Business Administration from the Thomas A. Edison State College, Trenton, New Jersey U.S.A and two Masters Degrees in Business Administration specializing in Accounting and Finance respectively, both from the Fairleight Dickinson University, Rutherford, New Jersey, U.S.A in 1983 and 1985. He was an internal Auditor at the now defunct Nigeria Airways before his overseas experience as Staff Accountant/External Auditor/ Tax Adviser at the Coopers and Lybrand CPA, Newark, New Jersey U.S.A. He then returned to the Nigeria to contest and won an election as the Executive Chairman of the Surulere Local Government in 1998.He is currently the C.E.O of Citiwide Construction and Transport Nigeria Limited which specializes in the construction of roads and buildings. Mr. Hakeem Olaogun Dickson is a seasoned administrator and politician with good managerial skills and has contributed his quota at various times to the development of Lagos State. Mr. Dickson loves going to the movies, politics, creative ideas and mentoring young people.